Awesome alone, even better together. Shop #UAMVP looks from @underarmourca at @sportchek. “My favourite part about the Favourites collection is how laid-back and chill it is without compromising style. I can confidently wear it to the gym or to brunch with friends." “When I’m leading HIIT, I need a bra and bottom combo that’s strong enough to support me all class. I love the Breathelux collection because it provides me with maximum support and coverage from burpees to kettlebell swings." “Wearing the UA Vanish collection allows me to train or teach without limitations. The fabric is so light and comfortable I’m able to easily transition from warrior to standing bow." “Every single day I do some sort of activity! Whether it’s hitting the gym, playing basketball or simply going for a long walk. Physical activity has always been my outlet... it’s a time for me to clear my mind. I don’t want to think about a thing when I’m training, especially my clothes and that’s one of the reasons why I’ve always been loyal to Under Armour. 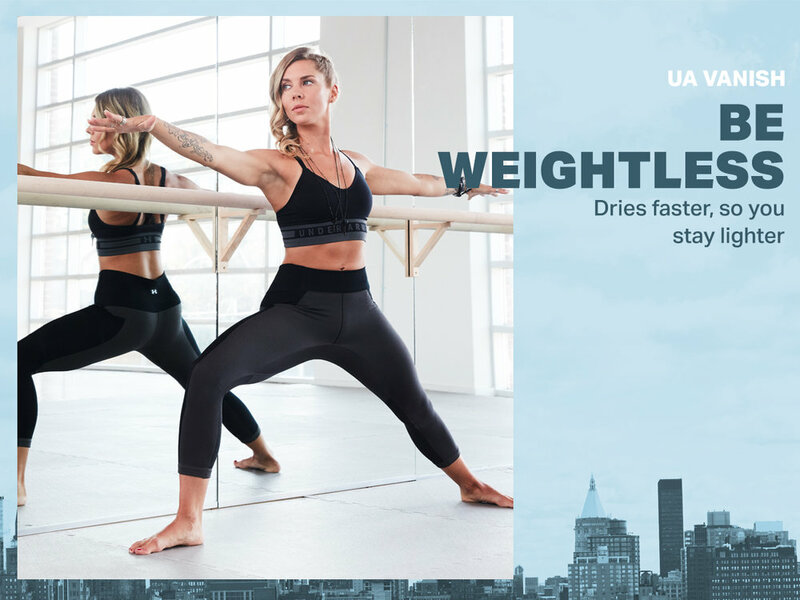 Their products are so comfortable, especially the new UA HeatGear collection... which is not only comfy but extremely functional." “It’s important to constantly challenge yourself to be better. I was asked recently what I was training for and although I am no longer competing in a sport, my answer was to be better than I was the day before. The UA HeatGear collection, understands and matches me step for step as I chase down my goals." “When I’m running, I need breathability. The UA Fly-Fast collection never weighs me down so I can propel to the finish line faster and stronger."